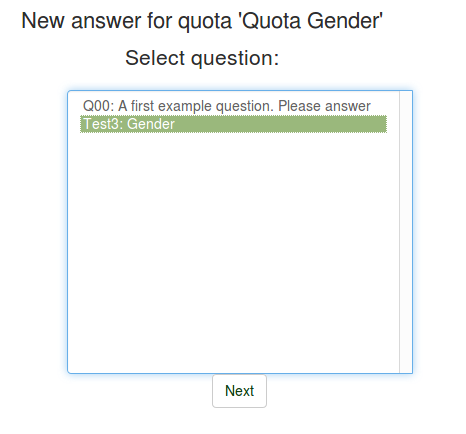 Attention : Quotas are tested only when the survey is activated. So, if you set a quota with limit "0" and the survey is not activated, you will not be able to check whether it is working or not. 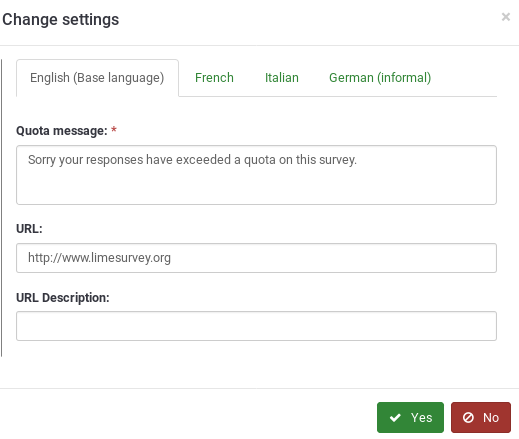 To understand how the LimeSurvey quota system works, think of a survey that contains a "Yes or No" question and an Array question, each of them belonging to two different question group. You set a quota on this survey that contains a restriction of 20 users who have answered "Yes" to this question. The quota will be checked every time somebody answers "Yes" to that question. If "No" is chosen, the quota system is never triggered. Therefore, the survey won't restrict anyone from responding the rest of the questions, unless otherwise specified. You might have to conduct a survey where you want to limit it to 25 male and 30 female respondents. In this case, you will have to apply two quota limits: one on males and one on females. This will give you a maximum of 25 males who will be able to complete the survey, and a maximum of 30 females who can complete the survey. 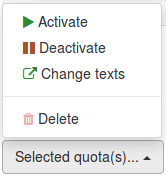 For a fully working quota you must firstly "add a quota", and then "add answers" to that quota. 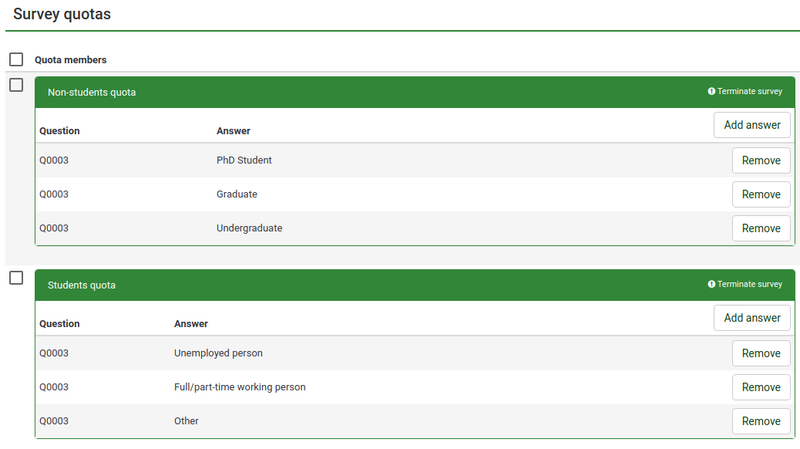 When tokens are used in a survey and the user is screened out due to a quota, then the respective token entry from the survey responses table is marked with the letter "Q" in the completed column from the survey responses table. 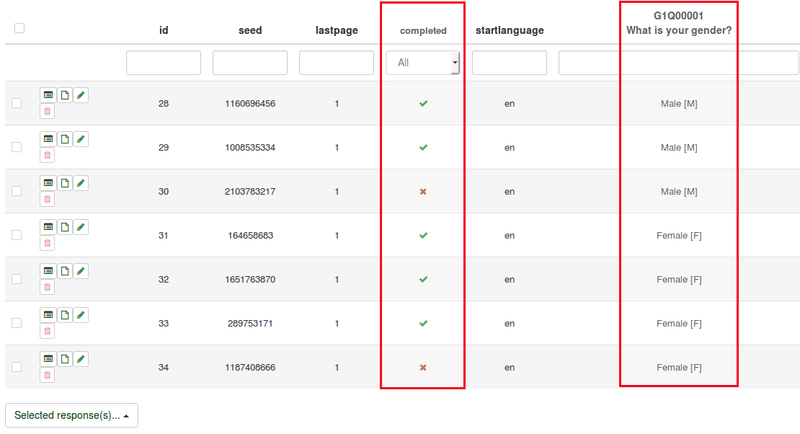 The token is invalidated in this way and the survey participant cannot restart the survey. 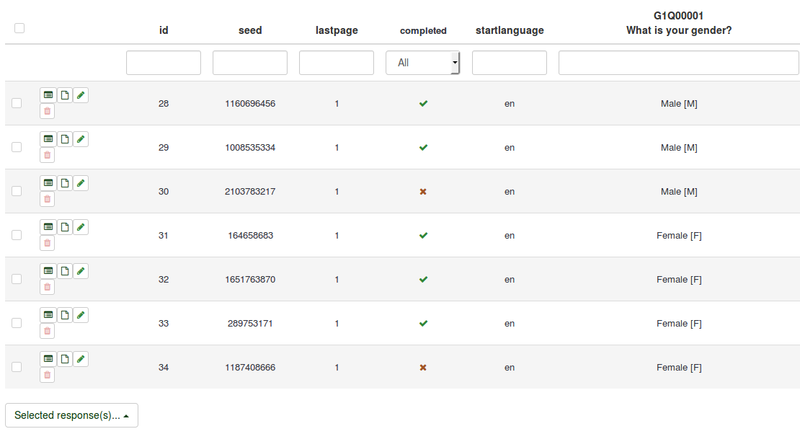 This page was last edited on 16 April 2019, at 15:52.